Steps are essential for safe spa entry and exit. 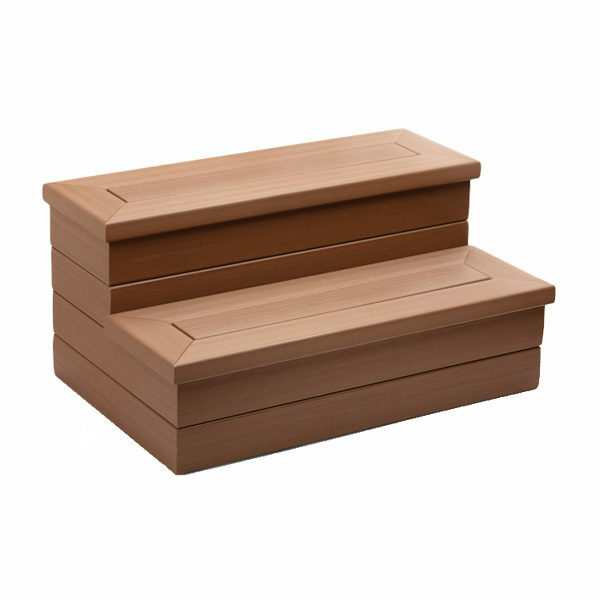 Our durable EcoTech Steps match our spas perfectly, because they’re made from the same material used to construct our exterior EcoTech cabinets. Available in Coastal Gray, Espresso and Redwood.